04.17.19 On April 4th, the University of Massachusetts Amherst along with Governor Charlie Baker, UMass President Marty Meehan, and University Chancellor Kumble Subbaswamy celebrated the completion of the Physical Sciences Building and West Experiment Station. Designed by Wilson HGA, the Physical Sciences Building includes research spaces for chemistry and physics while the West Experiment Station - a 19th Century research laboratory and one of the University’s oldest buildings was disassembled and recreated atop a new structural frame. 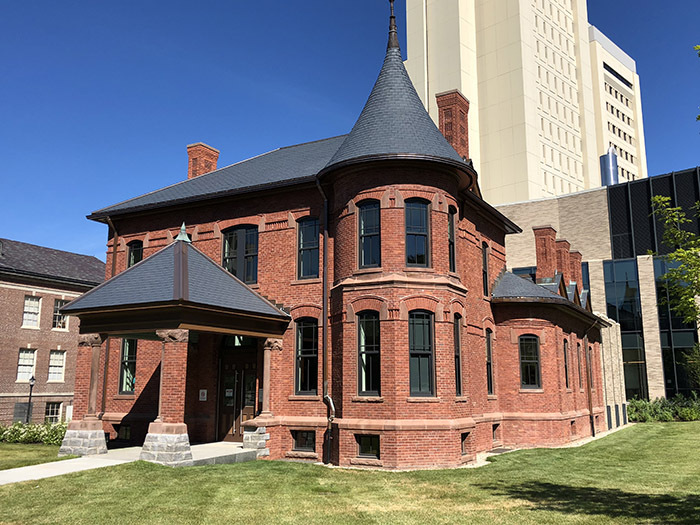 04.17.19 The First Church of Christ Scientist Christian Science Plaza project was recently featured on a segment of Chronicle 5. 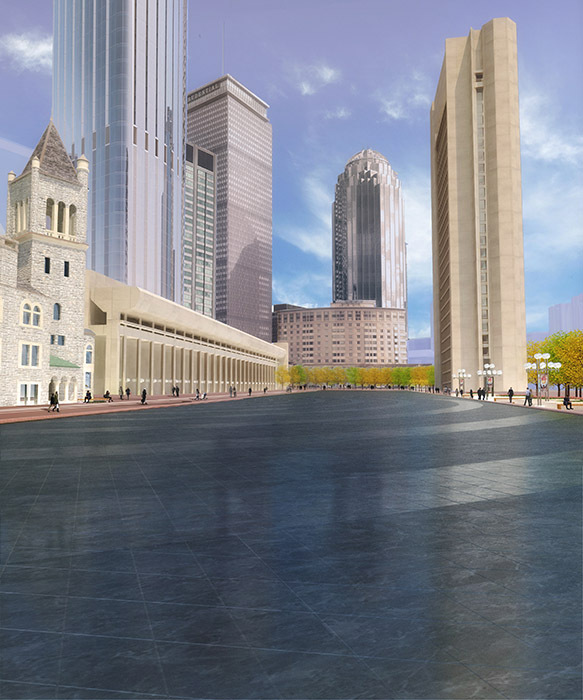 Led by landscape architecture firm CRJA-IBI, the project reimagines the landmarked Christian Science Plaza, which is the largest privately-owned public open space in Boston and serves an integral part to the community. LeMessurier is the structural engineer for the project. 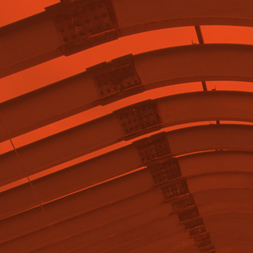 Our scope includes review of load on existing structure, strengthening existing pool/garage structure, modifications to garage structure and water tank dunnage. A link to the piece can be found here. 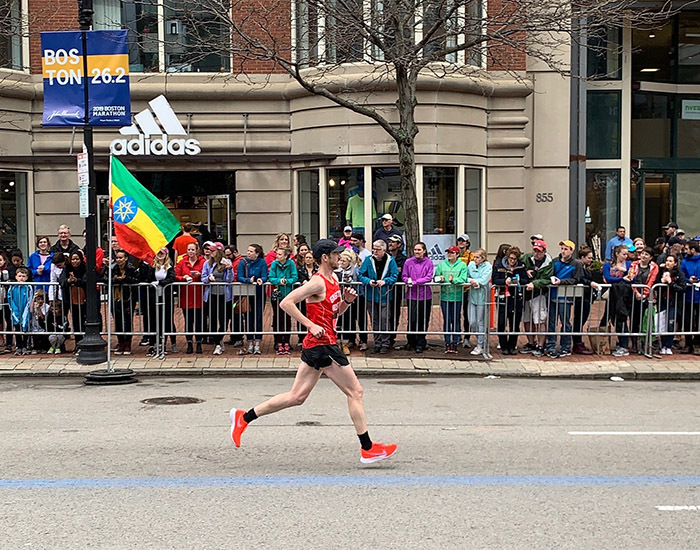 04.17.19 At Monday’s running of the 123rd Boston Marathon, LeMessurier associate Ian Neill ran his personal best time of 2:30:52. He came in #115 overall! 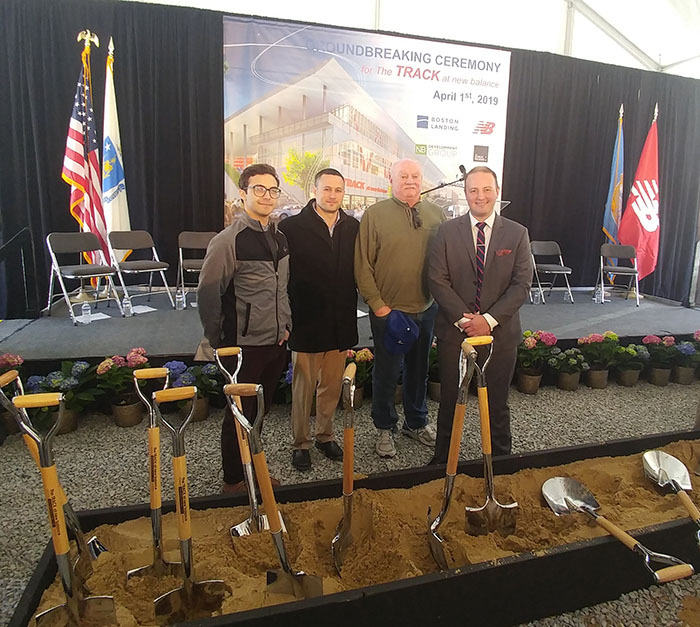 04.16.19 LeMessurier attended the groundbreaking ceremony for The Track at New Balance. The Track is the next phase of the Boston Landing development. With seating for up to 5,000 spectators, the facility will feature a state of the art 200-meter hydraulically banked track, a regulation soccer and lacrosse field and multi-sport courts for basketball, volleyball and tennis along with facilities for training, research and special events. 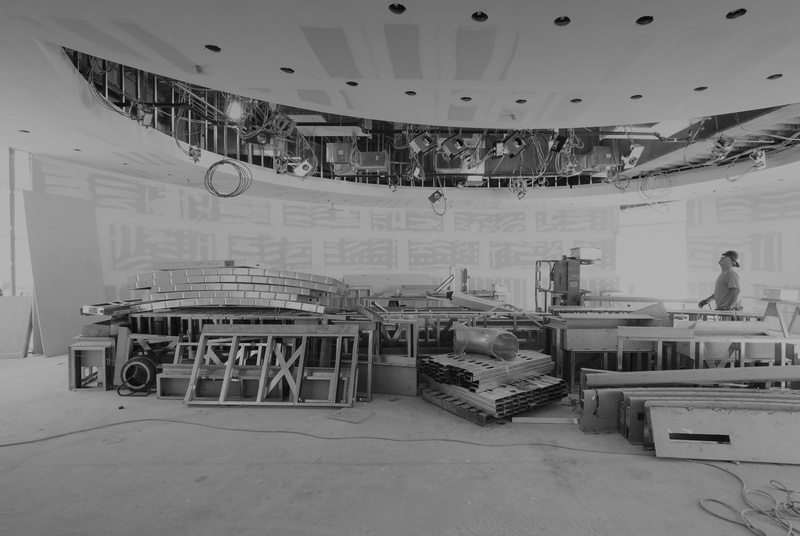 LeMessurier is proud to be collaborating with New Balance, Elkus Manfredi and John Moriarty &Associates as the structural engineer on this prestigious project. Shown in the picture from left to right are the LeMessurier New Balance Team members Tim Ferreira, Derek Barnes, Ned Moan and Michael Swartz. 02.27.19 The new color-laden canopy at the Our Lady of The Lake Children's Hospital in Baton Rouge, Louisiana has been completed and open to the public. The multi-colored glass atop the canopy is a signature element of many of PhenomenArts' designs. 01.14.19 Nearly two years after its formal opening, the KPMB-designed Adams Center for the Musical Arts at Yale University has become the nucleus of musical instruction on campus. With its orchestra rehearsal hall and four-story atrium, the Adams Center serves as a link from the historic Hendrie Hall and Leigh Hall while also fully embracing the future of educational and performance spaces. 01.08.19 In a major boon to commuters using North Station this winter, LeMessurier's project at the HUB on Causeway features a tunnel connecting the commuter rail trains with the Orange Line and Green Line subway trains. Keeping people out of the blustery winds in January and February will be a welcome change and a substantial benefit of the HUB project. 12.17.18 Ursinus College celebrated the opening of the Innovation and Discovery Center (IDC) building on its campus in Collegeville, Pennsylvania this Fall. 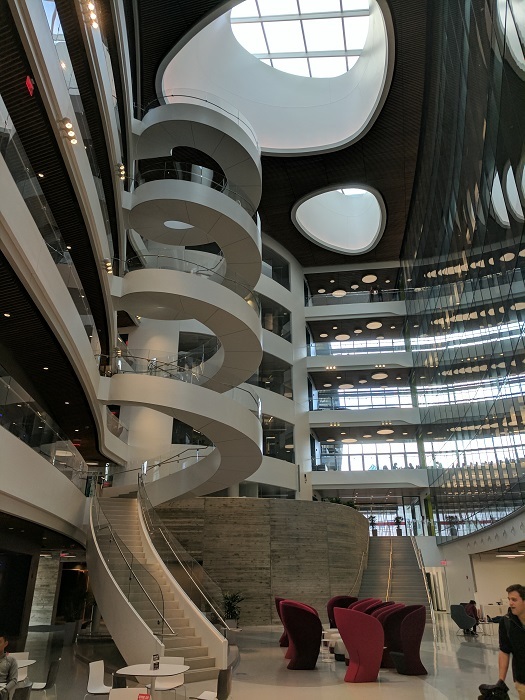 Ellenzweig designed this new 42,500 square-foot building to be comprised of classrooms, flexible laboratories and open workspaces to create an integrative learning environment for students of science, policy and entrepreneurship. The IDC also physically connects Pfahler Hall - a prior Ellenzweig-LeMessurier design collaboration - as well as Thomas Hall to create an interdisciplinary learning complex. 12.03.18 The Mount Auburn Cemetery has seen the recent completion of a renovation and expansion of the Bigelow Chapel which celebrated its re-opening this past weekend. Led by William Rawn Associates and Halvorson Design, the upgrades to the chapel improve functionality as well as bring light and accessibility to an historic building.